Bristol Rural Branch is the name given to a group of church Bellringers. 1. To promote the ringing of bells for divine service. 2. To practise ringing to obtain a higher standard of ringing. 3. To educate the general public in the art and science of change ringing. 4. To bring together the members of the branch for the improvement of ringing. we cover. Bristol Rural has twenty one towers, of these eighteen are ringable. with two that are currently un-ringable, these can be seen in the practice night pages, which are selectable by the buttons on your left or going to the branch map and selecting individual towers. 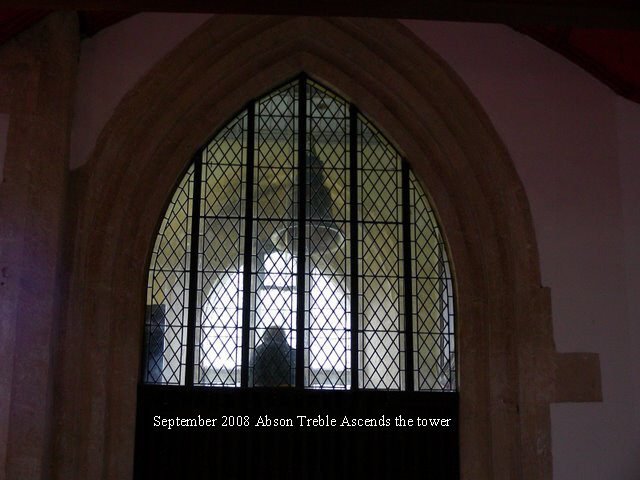 The branch comprises of ringers from all the towers who are members of the above association by paying an annual fee. The Branch has an active program which can be accessed by using the buttons on your left. These pages cover most of the activities in which the branch participates throughout the ringing year. Please take a few minutes to look at the pages and see what happens in the Rural Branch. We hope that they are useful and informative to both Branch members and other ringers from other associations. If you see any obvious errors I am sure they can be quickly corrected so do let us know using the email feature included. The Rural Branch Web site is administered by Tony York the 'Bristol Rural Branch' Secretary.